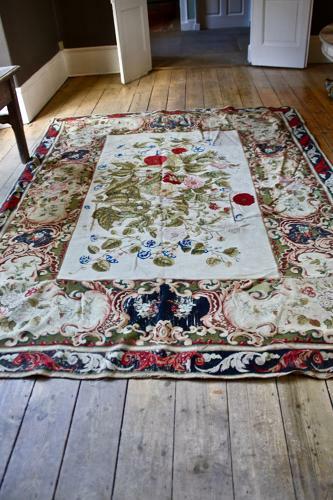 Beautiful vintage faded aubusson rug. Amazing colours. Hessian backed (this has some rips as can be seen from the pictures but the aubusson is intact).